Dyna Arrow and Yoppi Allen were slow to begin. Spectra Style and Frosty Snowman collided soon after the start checking Frosty Snowman. White Minion checked off Janali on the first turn. Yoppi Allen and Dyna Arrow collided on the first turn checking both greyhounds. Xinnia Allen and Spectra Style collided on the first turn. Yoppi Allen and Dyna Arrow collided approaching the home turn checking both greyhounds. A pre-race sample was taken from Fat Rhino. Fat Rhino was slow to begin. Slinky Inky, Dyna Chill and Go Seek Fernando collided soon after the start. Go Seek Fernando, Sisco Bella and Soda Flash collided on the first turn. Soda Flash and Go Seek Fernando collided on the second turn. A sample was taken from Dutch Legacy, the winner of the event. Big Deal and Central Bark were slow to begin. Skyes Apprentice, Cruising Stella and Eminence Keroma collided on the first turn checking Eminence Keroma. Blackjack Cruise and Central Bark collided on the first turn checking Blackjack Cruise, Central Bark and Big Deal. Eminence Keroma's muzzle was dislodge during the running of the event. A sample was taken from Manzeene Man, the winner of the event. A pre-race sample was taken from Dyna Wazza. Dyna Wazza was quick to begin. Cruisy's Rose, Exonerated, Dyna Wazza and Henderson collided on the first turn checking Henderson, Dyna Wazza and Cruisy's Rose. Dyna Yami, Down Mexico Way and Super Tokachi collided on the first turn checking Down Mexico Way and Super Tokachi. Dyna Yami checked off Henderson on the first turn checking Down Mexico Way and Super Tokachi. Down Mexico Way galloped on the heels of Cruisy's Rose entering the home straight checking Cruisy's Rose. Property Power and Unmid Bale were quick to begin. Noonbarra Storm, Last Outlaw and Lektra Blicavs collided approaching the first turn checking all three greyhounds. Property Power and Unmid Bale collided on the first turn. Property Power, Autocrat and Unmid Bale collided approaching the home turn checking Unmid Bale and Luck's Run Out. Right Said Frank and Unmid Bale collided on the home turn checking Right Said Frank. Last Outlaw, Luck's Run Out and Unmid Bale collided on the home turn checking all three greyhounds. Lektra Blicavs raced wide on the home turn and in the home straight. A sample was taken from Autocrat, the winner of the event. Winlock Rose was a late scratching at 10:06am due to injury (GAR 23). A 10 day stand down period was imposed. A veterinary certificate is required before any future nomination will be accepted. Stewards spoke to Trainer Ms. L. Courts regarding the late scratching of the greyhound. After considering the evidence tendered Ms. Courts was issued a charge pursuant to GAR 23(1)(a) in that she failed to examine Winlock Rose prior to the appointed scratching time. Ms. Courts pleaded guilty to the charge and was fined the sum of $200. 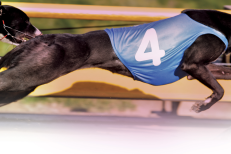 In arriving at penalty Stewards took into account Ms Courts record, honesty, guilty plea and penalty precedence, balanced against these factors is the need for deterrence and most significantly a greyhound missed a start as a result of the breach. Blackpool Blast was vetted during kenneling. It was reported that the greyhound has an injury to its tail. 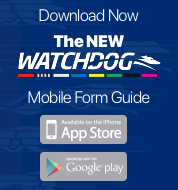 Acting on advice from the Club Veterinary Surgeon, Stewards permitted the greyhound to start in tonight's event, however directed trainer R. Kenyon to obtain a veterinary clearance for Blackpool Blast prior to the greyhound racing again. A pre-race sample was taken from Mousey McCoy. Mousey McCoy was quick to begin. Inga Ted and Barked Off collided soon after the start checking Inga Ted. Winlock Casper and Barked Off collided approaching the first turn checking Barked Off. Kyrgios crossed towards the rail on the first turn checking Blackpool Blast and severely checking Barked Off and Iona Misty. Winlock Casper and Mousey McCoy collided on the home turn. A sample was taken from Kyrgios, the winner of the event.